has a broad selection of coatings that provide the ultimate protection in high-use environments with extreme temperature variations or exposure to liquids, chemicals and fossil fuels. The following is only a short list of the unlimited applications available for industrial uses. Polyurea is applied and cured to form a seamless coating that provides an essential barrier against water other fluids. Concrete and metal treated with polyurea coatings are fully protected from abrasion, rust and damaging corrosion and deliver the highest level of leak protection. Thermal stability and hyper-elasticity allows the coating to expand or contract with the substrate or environment. 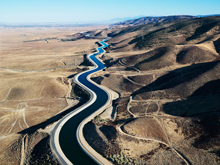 Polyurea coatings and linings are ideal for outdoor applications such as, irrigation ditches, reservoirs and flumes. Many in-service wastewater and containment treatment plants originally coated with epoxy materials are quickly reaching the end of their functional service life. If the lining fails, the steel or concrete substrate will quickly corrode leaving the wastewater treatment plant no choice but to replace the entire tank. With polyurea, the lifetime of sewage tanks, sanitation digesters and manholes can be extended indefinitely. Not only does polyurea completely fill cracks, perforations and crevices, it provides a impenetrable seal to protect against the corrosion from all types of liquids, chemicals and gases found in a sanitation and sewage environment. 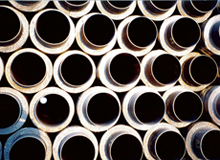 High performance coatings and linings are essential to maximize the operating lifetime of all types of pipelines including but not limited to; irrigation, fuels, chemicals and wastewater lines. Arizona Specialty Coatings deliver in-field or in-house coating applications for any size pipeline with any wall thickness. Superior adhesion, strength and flexibility minimizes damage during transportation and operation. Polyurea’s impermeable nature protects against corrosive elements associated with underground soil stress, soil acidity or alkalinity and moisture. 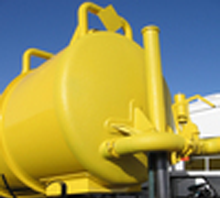 Temperature resistant, polyurea is ideal for all types of harsh outdoor environments. Pipelines lined with a carefully selected polyurea coatings can safely and effectively transport petrochemicals, solvents, fossil fuels, wastewater and potable water.